This standalone data logger can record up to 32,510 events, state changes and count events. Fast logging rates allow event capturing at speeds of up to four times per second and state changes at speeds of up to two times per second. Event counting can operate at speeds of up to 100 times per second (when the LED's are turned off). The data logger is supplied with a cap featuring a pair of screw terminals and measurement leads terminating in crocodile clips. 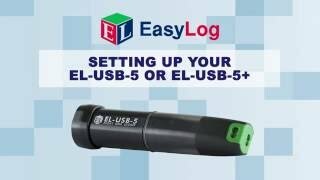 Easily set up the logger and view downloaded data by plugging the unit into a PC’s USB port and using the free EasyLog software provided. Data can then be graphed, printed and exported to other applications for detailed analysis. Supplied with ½AA battery and wall mount clip.